• To support the National Museum in Springfield, Illinois. • To encourage the preservation of monuments and historic sites. • To teach about American history. Created: October 16, 2012. Last updated: March 26, 2019. 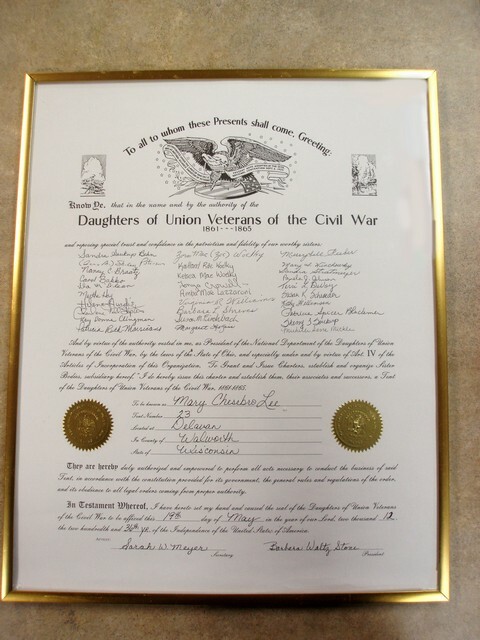 Copyright 2019 © Daughters of Union Veterans of the Civil War, 1861 - 1865, Mary Chesebro Lee Detached Tent #23, Delavan, Wisconsin - All rights reserved. <> since June 8, 2018.